Sometimes we read things that hit a nerve, and although the truth can set us free, it can also make us feel really uncomfortable. A recent NewYork Times article, “The Risks Of Parenting While Plugged In”, did just that. While I’m detached from my iPhone more often than not, I do spend much of the day glued to the computer, an absorption that often overflows into time that used to be spent with my children. New to the hypnotic pull of the internet, I’m still struggling to find balance. Reactions to the article seem to fall into two camps. One acknowledges a concern and recognizes the obvious downside of our cyber obsession – It is tough to unplug, and more challenging than ever to give our children undivided attention. The less concerned camp dismisses the study as yet another parental guilt trip – children have always wanted our attention and parents have always been distracted by other things. It’s good for children to know their parents have lives that don’t revolve exclusively around them. I recently saw not one, but two moms walking with their young children along the beach in the hazy summer sunshine. The kids looked out towards the ocean as their mothers held their heads down and away from them, trying to tune out the ocean noise so they could concentrate on their phone calls. Now, maybe they were CEOs playing hooky to get their kids to the beach, but couldn’t entirely leave work behind. Maybe their professional lives demanded they make calls and check email wherever and whenever. Or maybe they were making social plans or chatting with friends. Regardless, I don’t judge them, but don’t tell me nothing’s changed! Phone conversations, notes, emails, and a parent’s work are not any more important now than they used to be. The difference is that technology now allows us to bring our work and social lives onto the beach, the playground, or to a birthday party. Now, because we can, we allow them to intrude everywhere. 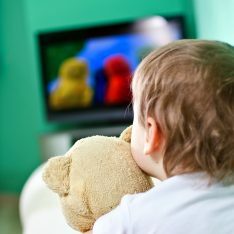 But this study affirms that our children are especially desirous of our attention at certain sensitive times: when we reconnect after a separation, when they are performing or exerting themselves (like on the soccer field) and during meals. When parents text on the car ride home, check email at the soccer game, or are glued to their laptops during social or intimate activities like mealtimes, they aren’t providing the connectivity a child needs. Physical proximity to a loved one is not enough for any of us. Even our newborn infants know the difference between the distracted parent and one who is really with them. Our spouses, friends and older family members might ask us to turn off our devices. As the study shows, our children probably won’t. Our babies can’t. Honest acknowledgement of this issue can only make our lives better. Since reading the article, I’ve already become more conscious of setting some new boundaries, carving out more sacred time with my kids. The effort it takes me to unplug is making me value the time with my children even more — it feels all the more special. Modern technology is unquestionably a blessing. And its biggest gift of all is the realization that life’s best moments happen when we can put it away. For a personal post about children and attention, please read: The Easily Forgotten Gift. Great points! I have been using by bberry as a clock since my watch battery died but this is the motivation I need to get that watch fixed so I can leave the phone where it belongs – away in my purse. I expect my 21mo to understand that in ‘two minutes’ it’s time to have dinner/have a bath/get into your pj’s/read books even if she doesnt want to because she’s enjoying what she’s doing. Why should they not expect the same from us? recently, my little girl was trying to make a point by closing my laptop while it was on my knee and she was in the room. She knocked it, it fell on the floor and died. I didnt over-react at all (outwardly!) but told her that it broke because it fell on the floor. She’s not stupid and quickly started telling me that she had dropped it. I didnt make a big deal of it as i didnt want her to feel guilty (and she shouldnt). The importance of my laptop to me (in her eyes) only came up over the next few months when she repeatedly pointed at my laptop, said ‘bang’ and pointed at the floor and ‘uhoh’. Then pointed again at my laptop and said YAY!… I honestly never considered how much she saw it meaning to me. Big lesson. I just replied on a discussion in Twittermoms. I started using the timer method. I have the traditional wind up timer that you can hear making noise. I set it next to the computer and allow 30 minutes of computer time. When the timer goes off, I set it for another 30. Thats the time I use to clean, such as get the dishes from the sink into the dishwasher, fold the clothes—whatever I can get done in 30 minutes, as well as maybe playing with my daughter. I repeat this often, especially on days where I know I am going to need to be on the computer alot. If I don’t set these boundaries, nothing would get done. There is always Facebook, TwitterMoms, CafeMom, Emails, Inbox Dollars, Swagbucks, Bank Accounts, Your Blogs, Others Blogs to check. I almost always drop what I’m doing on the computer to respond to my child. I hate being interrupted, but I just know deep down in my heart that I have to show him that he is more important than the screen I am staring at. I really try to limit my computer time to when he is asleep or out with his dad. Recently, my friends are texting me more on my cell phone, and I am more inclined to answer them when my son is around, but I do wonder what kind of message that sends him. Thankfully, it’s not a too-frequent occurance. As you know, I’ve struggled with this. Over the winter holidays I decided I needed to make a big change, and I’ve spent much less time on the computer. It’s been a bit of a blow to my ego — I really enjoy blogging and the positive attention I’ve received from it, but I could see the toll it took on my family. I recently removed the facebook, twitter, and email from my cell phone, and make a point to only have certain times of the day when I get on the computer (mostly in the evenings and nap times, but I do allow myself some time in the morning if things are going well with the kids). Suchada, your refreshing honesty makes me love you even more! I am dealing with the exact same struggle on a daily basis. The funny thing is that when I do get away from the computer for several hours, I feel very torn about going back…and find myself postponing it. Sometimes I miss the ignorance I used to have about the online world. But this struggle fascinates me. It’s totally different from anything parents have had to deal with in other generations. Thank you for writing this…I am a grandmother blogger and I am involved with my grandchild on a daily basis. The internet and growing a blog take a lot of time…but growing a child is so much more important. I too love blogging and social media…but this discussion has helped to put work in much better perspective for me…I especially appreciate reading the comments of some of my favorite and respected bloggers like yourself. This is an excellent post! Something that I have been discussing for awhile with people. I have a work cell phone that unfortunately has my email tied to it and a job that almost expects instant responses and may email or call you even on days you don’t work and I hate it. I hate the invasion of work into family time and the feeling of distraction you get. I like the idea of boundaries around it, I want to try to do more of that, I used to restrict most personal computer time till after my daughter goes to sleep, but as she grows, it is a bit easier to take a bit more time, but it can be too hard to break free of, I think I will be better off with set times to check things and allowing those calls to go to voice mail, which I often already do despite others often saying your phone is ringing , to which I reply, I know. Work calls waited on voice mail and were answered at work, I think we need those boundaries! i leave my phone in the car. so it’s not in the house and it’s not out with me in the world. it does make me less reachable. i notice that the moment i bring it with me, i start checking it compulsively and for what? i also miss some great photo ops! This is one of the most important discussions of our time. I struggle with addiction to facebook and email. (I tend to be a late adopter of technolgies, in part, because I sense the power they will have over me once I’m hooked in.) I also think it’s no surprise that women comprise the majority of fb users. I see a lot of moms on there. I notice that when I feel less isolated I use it less. For instance last week I had a wonderful friend who is like an auntie to my daughter visiting from Australia. 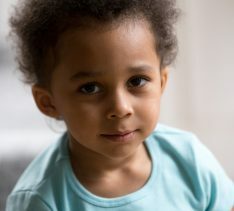 I noticed with her around to help with childcare and to be with me as we puttered around the house I didn’t feel nearly the pull that I do when I’m alone with my daughter for days on end. I am entirely grateful for the parenting resources (this blog included) I’ve encountered through it, and at the same time I think I’m much happier when it is less of a presence in my life. We’re at risk of losing solitiude, interiority and real connections with real people. This post along with a few others I’ve come across the past few days helps with my resolve to limit the time I’m staring at these screens. As an aside it’s interesting that the tv now seems like the least of our worries. We watch a movie or a tv show at night when baby is in bed. It seems rather contained compared to computers and phones! 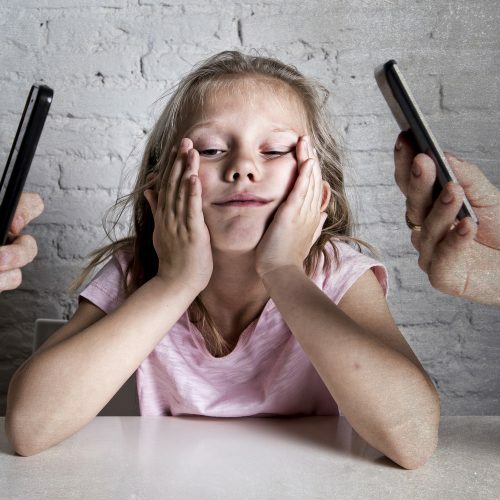 Ironic as it, as adults aren’t we suddenly more like our kids than ever, and having the same addiction problems we were moaning them for having before all that technology became exciting to adults too 🙂 Maybe we all need to refresh those “executive function” muscles. I will, just after I check my FB…. This is something I really struggle with too (and we wrote a whole series about it on Sunflower Creative Arts blog a couple years ago: http://sunflowerblog.org/2011/06/30/low-tech-resolutions/). I keep my thoughts on the big picture goals– but, in the moment, the pull of technology is sometimes hard to escape! I’m of the strong opinion that babies and children are wired to need role models who are doing interesting things. They want to be around people who are talking to friends, making dinner, building a bookshelf, fixing a bike, working in a garden, whatever. They clamor to be involved. They complain if those role models do the same things over and over, because they long to learn across the widest range how people they admire handle a crisis, take on challenges, figure out complexities, and just plain live. I’m a device user. I know full well that a parent on the computer doesn’t seem to be doing anything interesting (no matter how compelling I find it). Our kids clamor to get us to DO something, anything. My kids aren’t little any more, so I have more freedom to work on the computer. Still, I do my very best to look up and turn away from the screen when my kids come in, to talk to them with full eye contact, and try to keep from jonesing to get back to work. I try to schedule the bulk of my work when they’re not home, even to do kitchen or garden tasks when they’re around because a vital active parent remains an important role model. Smartphones are worse because they interrupt us at whatever we’re doing—including all those interesting things kids want to see us doing. I’m concerned that what we model for our kids is more than a short attention span. It’s that the real 3D world of the moment we’re living in is less important than an email or Twitter update or seeking out a reference to prove a point. One minute Mom or Dad is there, the next the parent is lost to a screen. Over and over and over every day until the lesson takes hold. Is modern technology REALLy unquestionably a blessing? Thinking about this statement. Jury is out for me. It was realising that my constant message checking on my smart phone was modelling behaviour that I didn’t want to pass on to my children that made me stop and assess my social media use. I guess if we make choices with the understanding that our children will take on what we do both physically but also from our emotional perspective then we are taking responsibility for our actions and the consequences. No need to feel guilty, but it reminds me of the song “Cats in the Cradle” by Harry Chapin. The positive side to all this is that parents can show their children how they balance life. The technology is fascinating. Setting boundaries is challenging because that ping means being included. Having a cell phone with contacts that text, call, etc., is a community! We want a community for our children. The adults need it too. Balance is the key.